We are built on trust, family and our customer's futures! We also specialize in fleet repair and RV repair! Tom’s offers full-service collision repair for any vehicle, any size! Tom’s Body and Paint, Inc.
Tom’s Body and Paint Inc. is a full-service auto body repair shop and roadside assistance provider, serving Visalia, CA motorists. We offer body and collision repair on all makes and models of vehicles, as well as auto paint services and 24-hour towing. Stop by today for a superior level of customer service! When your vehicle is damaged in an accident or starts showing its age cosmetically, it’s time to start thinking about a visit to your local auto body shop in Visalia, CA. Tom’s Body and Paint Inc. welcomes you and your vehicle, and we strive to provide you with an experience that’s unrivaled by any other auto body care provider. 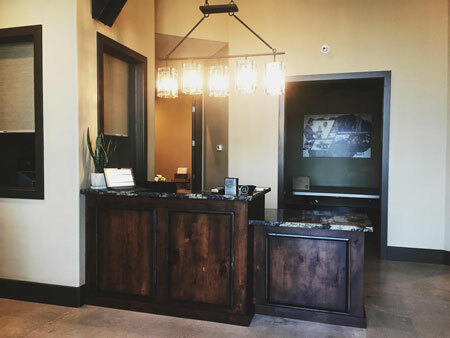 From our pristine, comfortable waiting room to our friendly professionals, you’ll always feel welcome when you come to us for service! And, no matter what you’re in for—minor blemishes, major damage or auto paint—know that you’ll always get an upfront quote every time. We tackle all levels of collision repair in Visalia, CA. We’re proud to be an I-Car Gold Level Shop. Our staff consists of trained collision repair specialists. We can work with any insurance company to help you get your claim processed quicker. We’re members of the California Auto Body Association. Our business maintains a superior rating with the Better Business Bureau (BBB). For the very best auto body repairs, fleet care and auto towing services, Tom’s Body and Paint, Inc. is here to help. Contact us today for more information about our services.